120 Volts / 1500 Watts / 5,120 BTU heater. 3-D Patented Flame LED technology. Dimplex fireplace logs are hand crafted and molded from real wood logs, offering an incredibly realistic log set. 5 Yr Manufacturer’s Warranty. The 30″ plug-in electric firebox offers a 120 volt plug-in firebox with thermostat controlled fan-forced heat. 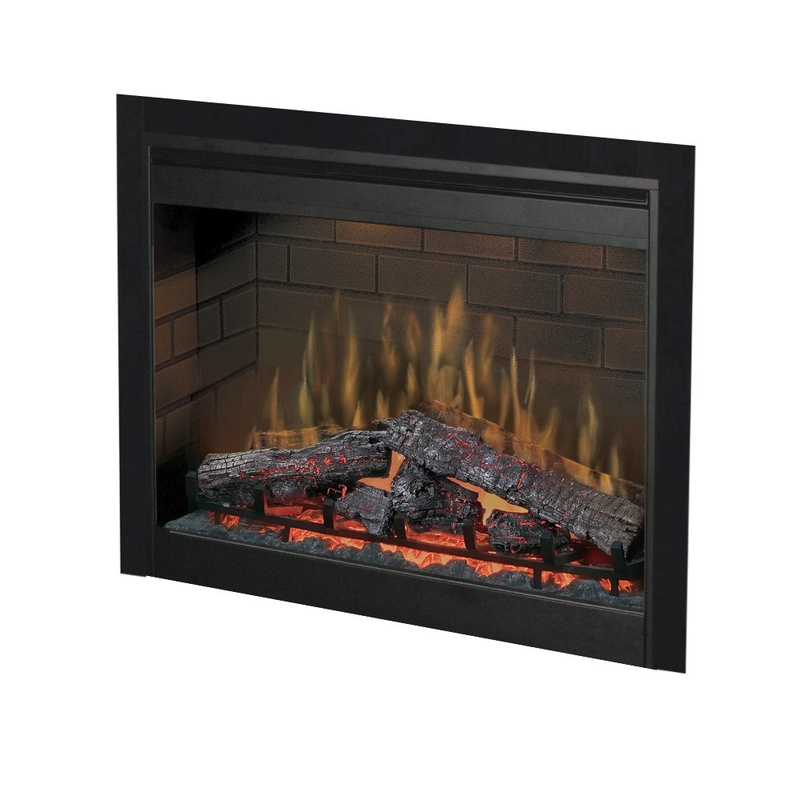 The pulsating embers and LED inner glow logs molded from real wood logs make for incredible realism with patented electric flame technology.